Dressed in hokey-looking "Player's Weekend" threads as a thinly-disguised marketing ploy, the Astros focused on the mission at hand, stomping the Halos, 9-3, Friday night to open a three-game series at the Big A. Dallas Keuchel tossed six shutout innings before giving up a pair of runs in the seventh when he had a 6-0 lead as he cruised to his 10th win of the season, putting all five starting pitchers in double digits in the win column. Keuchel got relief help from Collin McHugh, Tony Sipp and Will Harris to even his record at 10-10. The 2-5 hitters of the Houston lineup all had multi-hit games, starting with a double and homer from Jose Altuve. Carlos Correa homered and scored three times. DH Tyler White doubled and drove in two while Marwin Gonzalez clubbed a double and a grand slam homer as part of a 12-hit assault. Marwin has hit .321 (9-for-28) on this road trip with three homers and eight RBIs while White is batting .360 (9-for-25) and catcher Martin Maldonado, who was a modest 1-for-4 in his return to Anaheim, is batting a sizzling .421 with three homers during the trip out west. That sudden spurt is why the Astros have withstood the red-hot Athletics and moved back ahead by 1-1/2 games in the furious AL West. Justin Verlander (12-8) tries to keep the three-game winning streak rolling Saturday night in an 8:07 pm Central showdown with Jaime Barria (8-7) who pitched a no-decision against Houston back on May 15th. 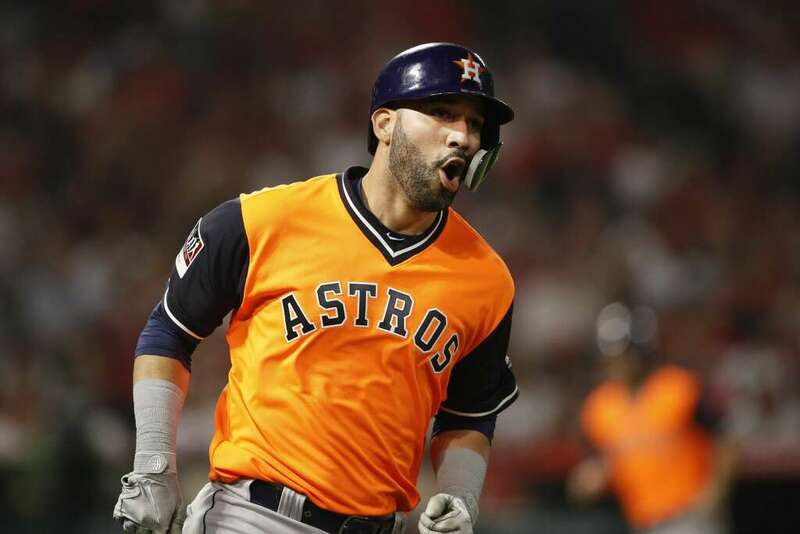 Ignore the ugly slow-pitch costumes and goofy nicknames, the Astros have business to take care of in California and will need to keep their minds on building back the lead they squandered while their stars were shelved. Speaking of which, George Springer missed another game with a sore quad and reports are surfacing that his injured thumb hasn't healed properly. Another trip to the DL would not be surprising, particularly once Jake Marisnick is ready to return from his own rehab stint to patrol center field.